Are you and your significant other engaged in continual arguments with no resolution in sight? Are work, friends and extended family interfering in your IM relationship? 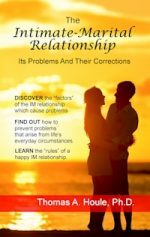 Are you beginning to question whether or not you want to stay in your present relationship? Then Dr. Houle's book is for you. Click here to visit this book's website.